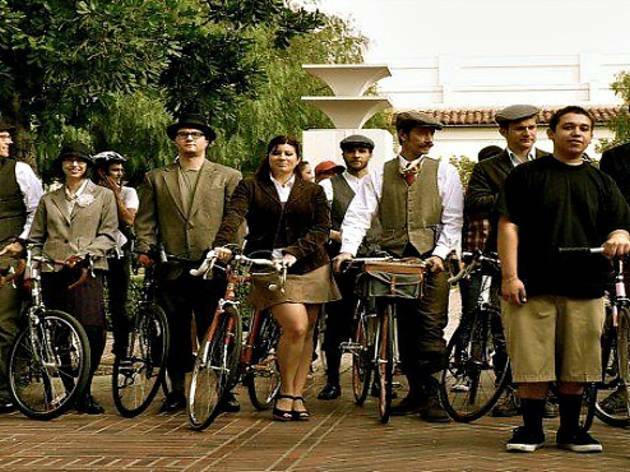 Work out both your body and your mind during this quirky and historical bike ride through North Hollywood, hosted by Cyclists Inciting Change thru Live Exchange (C.I.C.L.E. 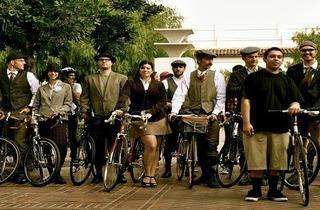 ), a cheerful organization that supports clean air and friendly streets through sustainable transportation. The ride starts at Valley Village Park (200 Westpark Drive) and there will be two stops: SPARC's Great Wall of Los Angeles—a half-mile long mural depicting LA's history of struggle and resistance; and El Portal Theater—a historic landmark that opened as a vaudeville house in 1926. The family-friendly ride will have a leisurely pace and come in at under eight miles. Don your finest old-fashioned tweed for the event, as awards for best dressed, best mustache, and best hat will be given out at an after party at NoHo's popular Federal Bar. Check C.I.C.L.E. 's website for more details.